3 Book Mystery Box Set Deal! *Murder in the Worst Degree (Rocky Bluff P. D. series) by F. M. Meredith. Price: Free. Genre: Murder Mystery of the Day, Sponsor, Police Procedurals, Crime. Rated: 5 stars on 18 Reviews. 178 pages.Reviewers love it: Once a series has gone on for this long, you know it must be good! I have read all the books in this series and this one is my favorite! Fantastic read! This one is a winner! Highly recommended! Free Superb Murder Mystery of the Day! *Endless Vacation by Brad Whittington. Price: Free. Genre: Mystery of the Day, Sponsor, Literary. Rated: 4.3 stars on 51 Reviews. 331 pages. ASIN: B00C42TU3U. Reviewers: As I started this story, the action began to build until I absolutely had to keep reading! The story is exciting and has adventure, romance, betrayal and characters you love to hate. 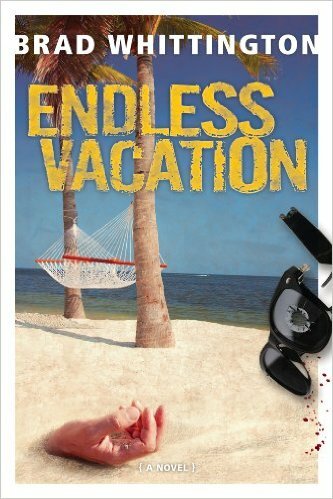 If you are looking for a good adventure or just want to plan your next vacation, then I recommend “Endless Vacation!” Enjoy this book soon, you will have an awesome journey! *Maple Frosted Murder Book 2 by Susan Gillard. Price: Free. Genre: Cozy Mystery, Culinary. Rated: 4.7 stars on 20 Reviews. 216 pages. ASIN: B01D51GCEI. *Endless Vacation by Brad Whittington. Price: Free. Genre: Mystery, Sponsor, Murder Mystery. Rated: 4.3 stars on 51 Reviews. 331 pages. ASIN: B00C42TU3U. Reviewers: As I started this story, the action began to build until I absolutely had to keep reading! The story is exciting and has adventure, romance, betrayal and characters you love to hate. If you are looking for a good adventure or just want to plan your next vacation, then I recommend “Endless Vacation!” Enjoy this book soon, you will have an awesome journey! *Work Capitol (Fight Card Sherlock Holmes Book 1) by Jack Tunney. Price: Free. Genre: International Mystery & Crime, Crime, Historical. Rated: 4.7 stars on 15 Reviews. 164 pages. ASIN: B00GYHEPMW. Leaving the Bones Behind by Gary Watson. Price: Free. Genre: Mystery, Literary, Suspense. Rated: 4 stars on 4 Reviews. 316 pages. ASIN: B002LITYB0. *A Dead End (A Saints & Strangers Book 1) by Keeley Bates. Price: Free. Genre: Cozy Mystery, Amateur Sleuths, General Humor. Rated: 4.4 stars on 21 Reviews. 164 pages. ASIN: B014I7MFAS. The Suicide Club by Robert Louis Stevenson. Price: Free. Genre: Classic Detective Mystery Short Stories, Traditional Detectives, World Literature. Rated: 4.3 stars on 4 Reviews. 65 pages. ASIN: B018ADH5EW.